• Thato Mahlangu reports that more than 6 million children in South Africa are currently living below the food poverty line according to the South African Child Gauge 2018 report. • How can funders use information about gaps to better direct their relief efforts? • Learn about South Africa’s progress on the SDGs. Millions of children in South Africa still don’t have access to healthy meals, because their families can’t afford nutritious food, according to a report published by the University of Cape Town’s Children’s Institute (CI). 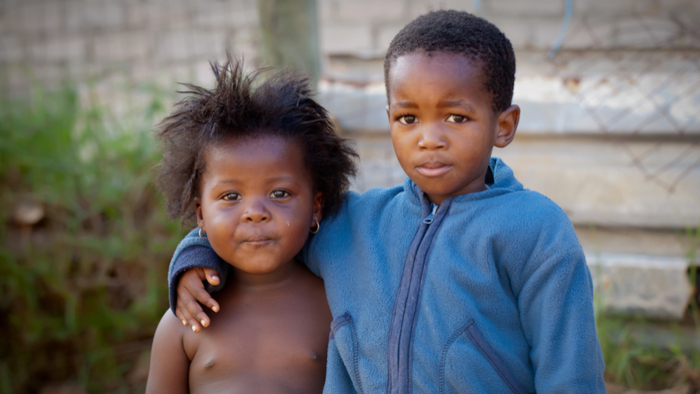 The South African Child Gauge 2018 report highlights the conditions that children are living in across the country — and is a partnership between DST-NRF Centre of Excellence in Human Development, University of the Witwatersrand, UNICEF South Africa, and the Standard Bank Tutuwa Community Foundation. More than 6 million children in South Africa are currently living below the food poverty line, the institute said in a statement provided to Global Citizen. The report — released to coincide with World Children’s Day on November 20 — highlighted an urgent need for families and the state to align their efforts to improve conditions for children. Read the full article about the South African Child Gauge 2018 report by Thato Mahlangu at Global Citizen. Giving Compass' Take: • On Equal Measure, consultant Altinay Cortes describes the impact of programs to promote greater equity, such as providing support for lower-income people in areas such as education and housing. • Are nonprofits doing enough to support such programs? This article also describes the journey that a child of refugees took to the Ivy Leagues, an inspiring story that reminds us how much work we have left to do. • In order to achieve greater equity overall, we need a new approach to funding. Here's where to start. My childhood in Millville, NJ, was filled with meetings. I can recall the joy I felt each time I went over my weekly calendar with my mother. I was the kid who signed up for everything. I joined so many clubs that I rarely went straight home after school. Early on, I intuitively knew that participating in so many programs could benefit my life. I was told that being well rounded was the only way to become successful, so I juggled sports, art, civics, and academic enrichment programs. I often felt like a waitress delicately carrying a tray full of drinks filled to the brim. In high school, I began to understand how certain programs could benefit me more than I had ever imagined. Equity programs became my focus. Equity programs vary in scope, but are designed to provide support to people in areas such as education, housing, food, etc. I joined a Gear Up program housed at Rowan University and a summer college readiness program at my local community college called Talent Search, which offered SAT/ACT preparation, tutoring, life skills workshops, and college courses. I learned so much that I finally realized that college was more than a dream; it was a true possibility! Through these programs, I visited many colleges and spoke with admissions counselors and students. I also received ample help on college and scholarship essays. My college applications reflected all the skills I learned from participating in equity programs. I was accepted by every college I applied to, and attended Howard University with a hefty scholarship in hand. I owe this accomplishment to equity based programming. Read the full article about the value of equity programs by Altinay Cortes at Equal Measure. Food and Nutrition is a fascinating topic, and others found these events, galas, conferences and volunteering opportunities aggregated by Giving Compass to be relevant for individuals with a passion for Food and Nutrition. In addition to learning and connecting with others, taking action is a key step towards becoming an impact giver. If you are interested in giving with impact for Food and Nutrition take a look at these Giving Funds, Charitable Organizations or Projects.